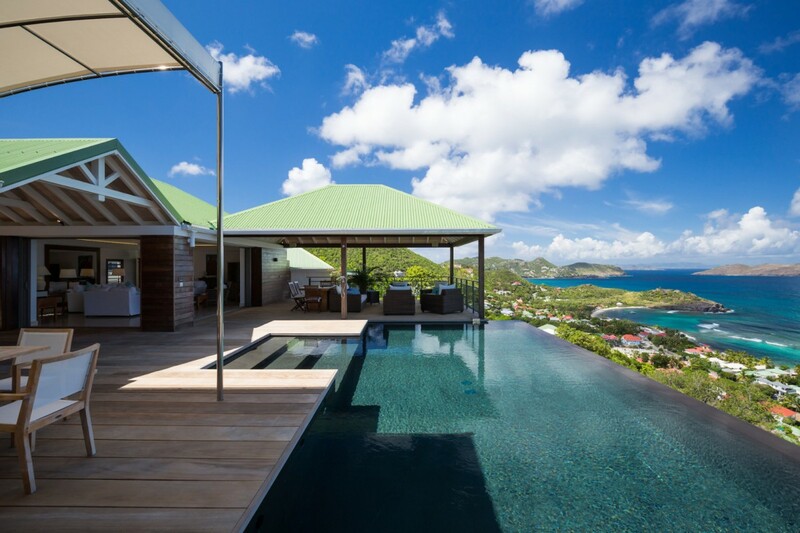 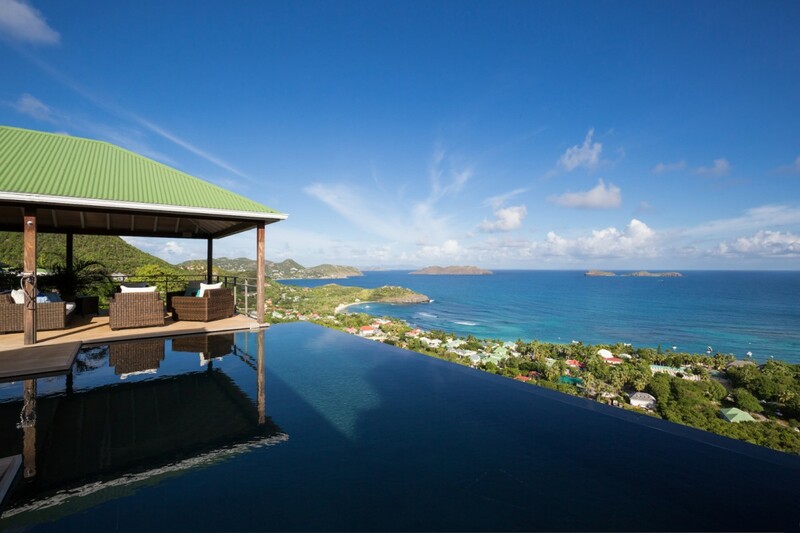 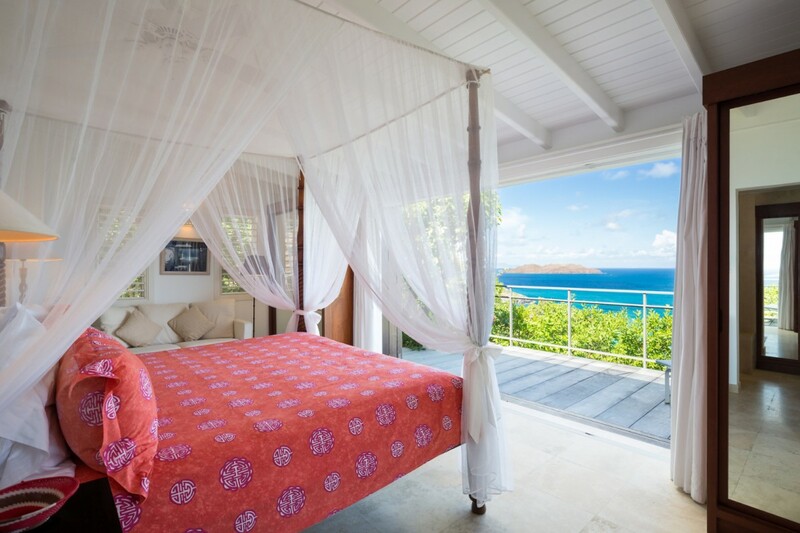 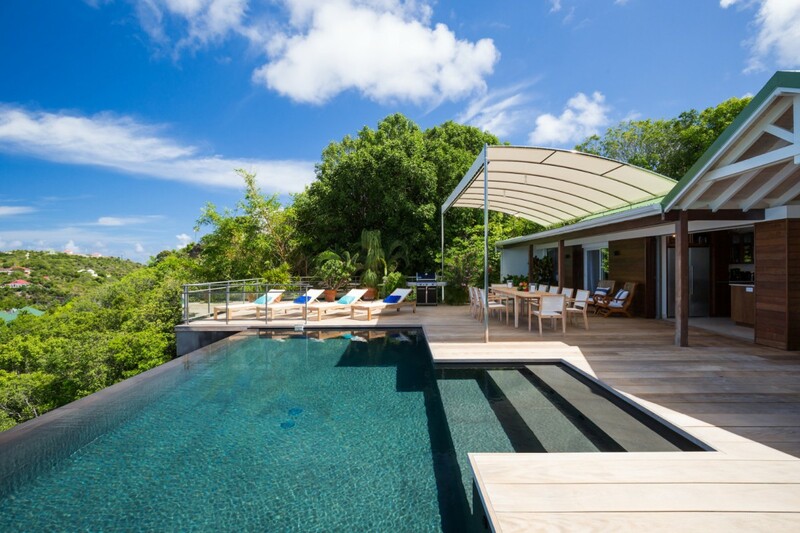 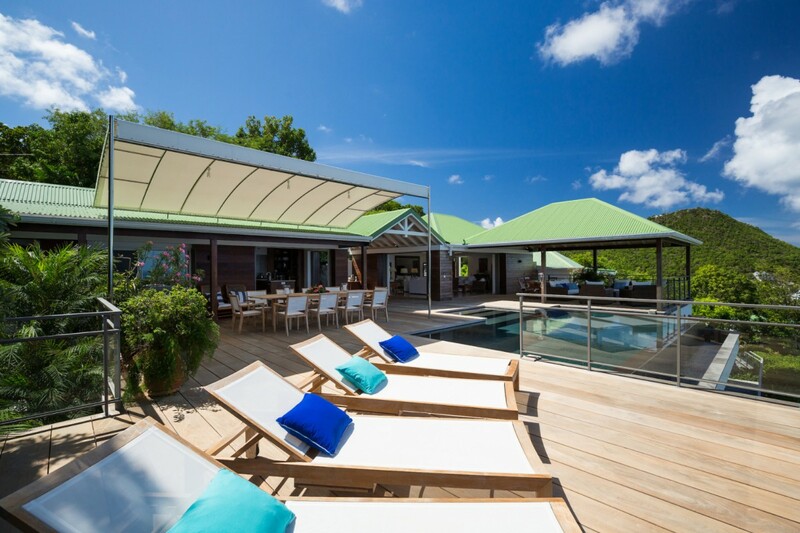 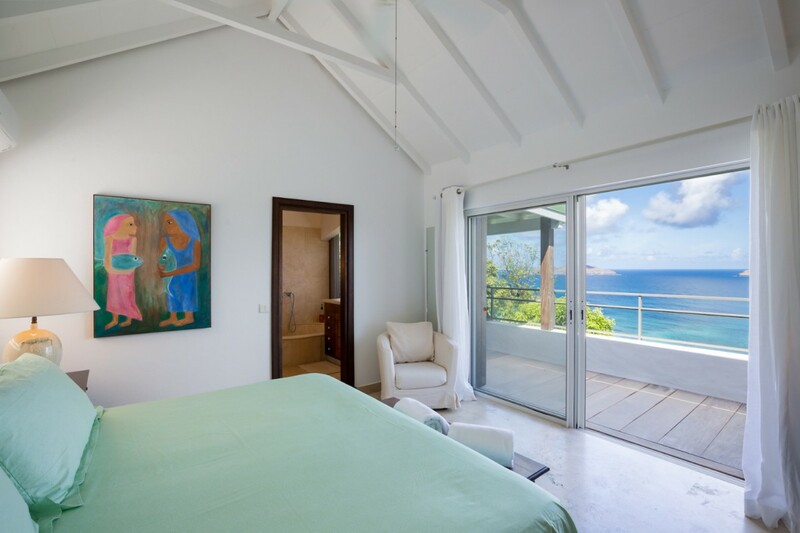 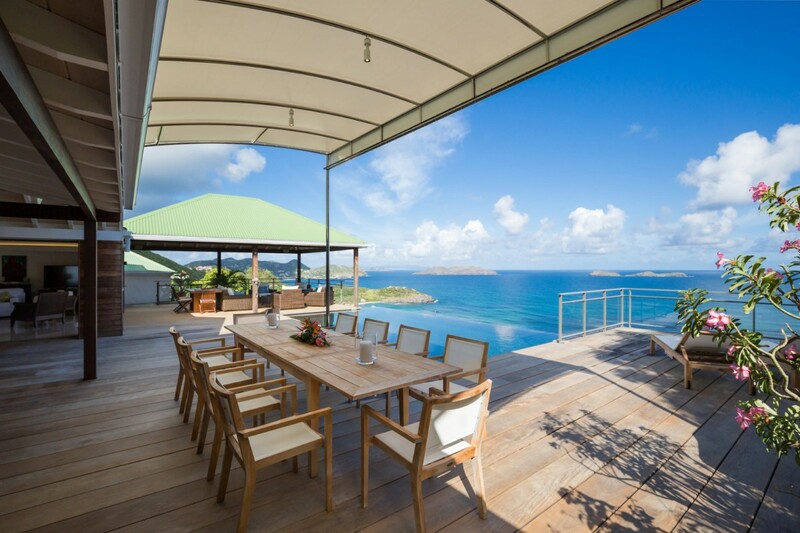 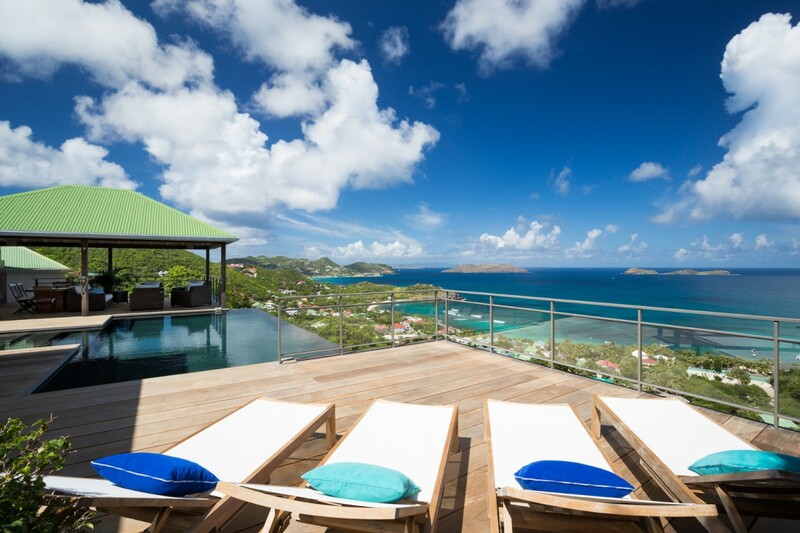 Villa Gearon St Barts. 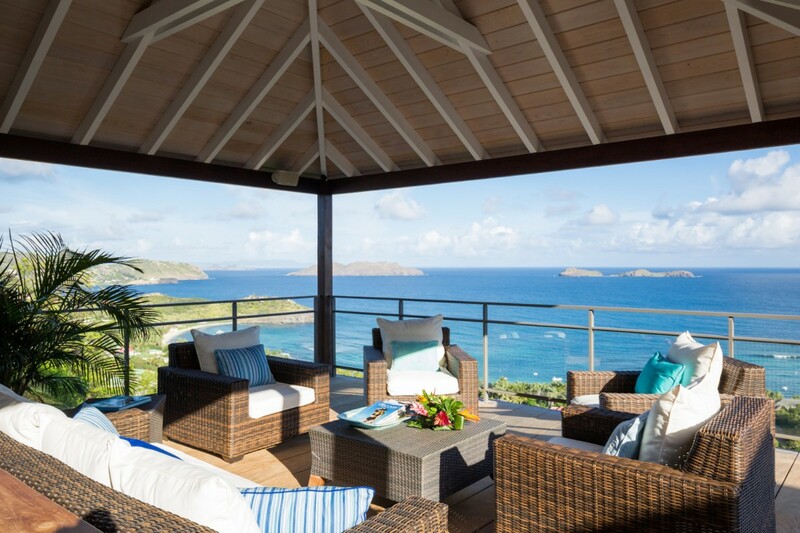 Lorient Bay is a lovely spot on St. Barts, and the charming Villa Gearon gives visitors an unprecedented view of it from the rolling and verdant hills. 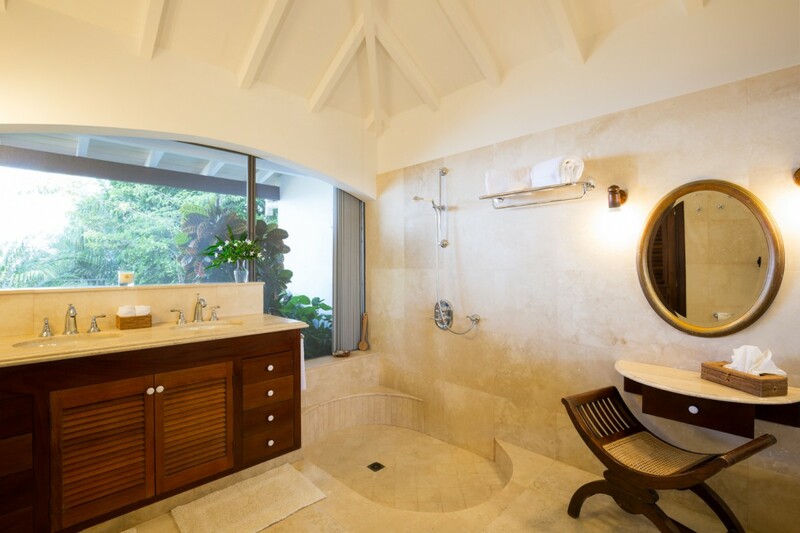 Ideal for those who are seeking a beautiful spot to refresh and rejuvenate, the two-bedroom property features an astonishing array of luxuries all in an expertly designed and decorated setting. 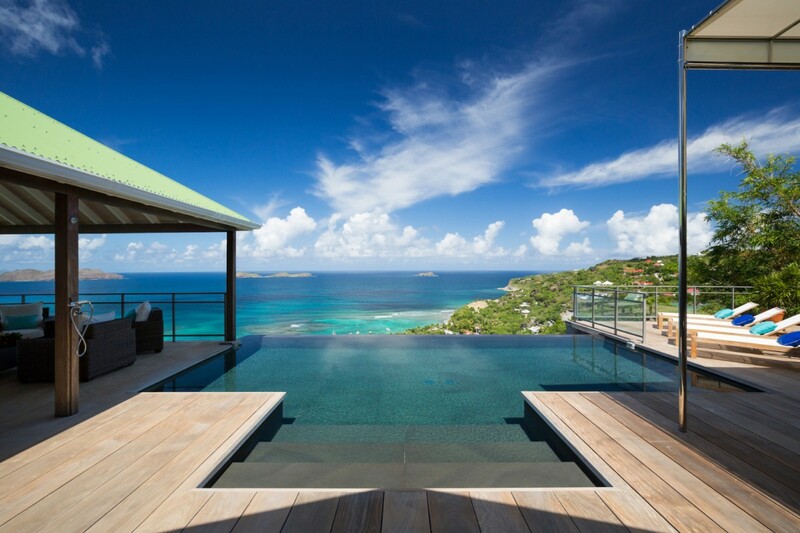 Take in the views from the comfort of your expansive pool terrace. 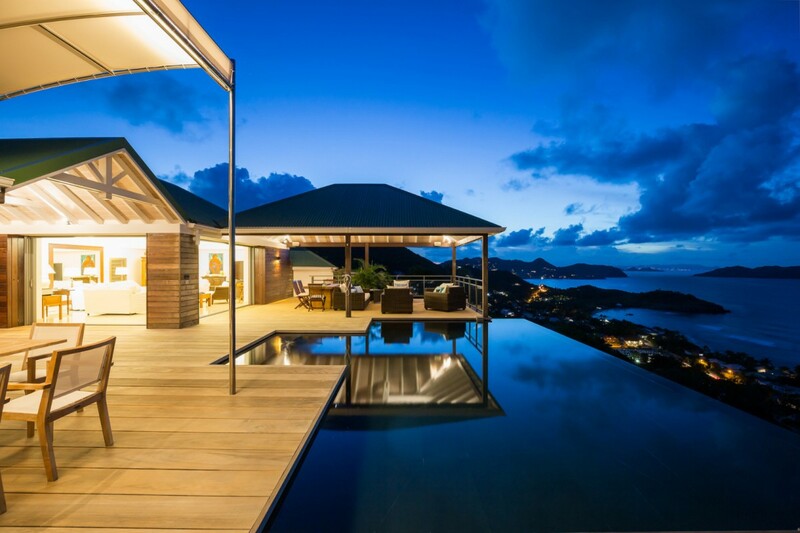 Done in wood, it wraps the uniquely shaped, infinity edge pool in the center. 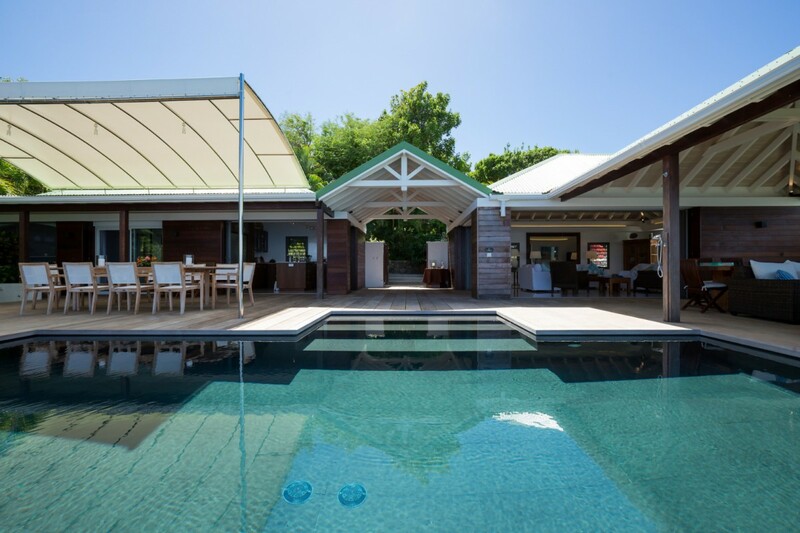 The pool is flanked on one side by an open sun deck furnished with premium sun beds. 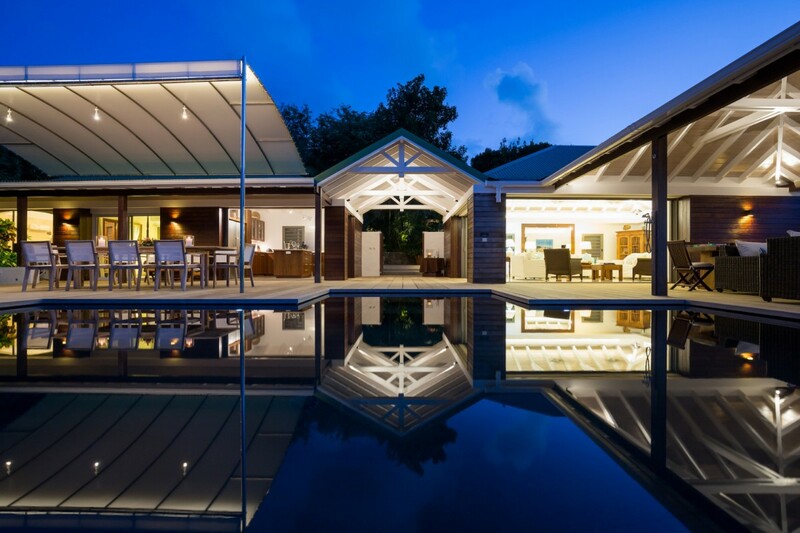 The other edge is wrapped with a gazebo that serves as an al fresco living room and lounging space. 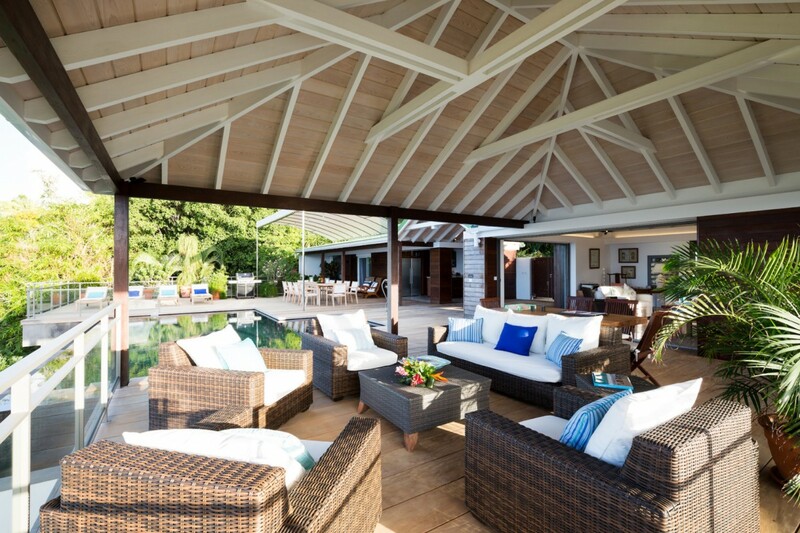 Beneath a separate pergola is an al fresco dining room. 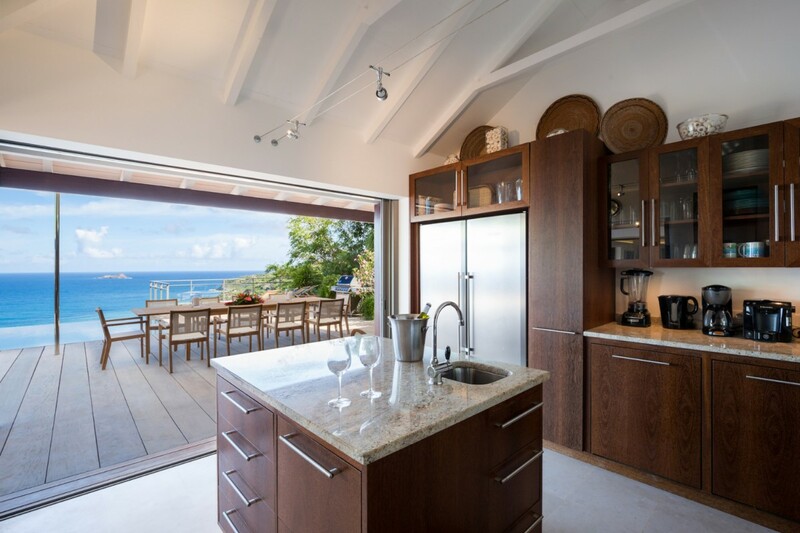 The outdoor spaces open into interior spaces. 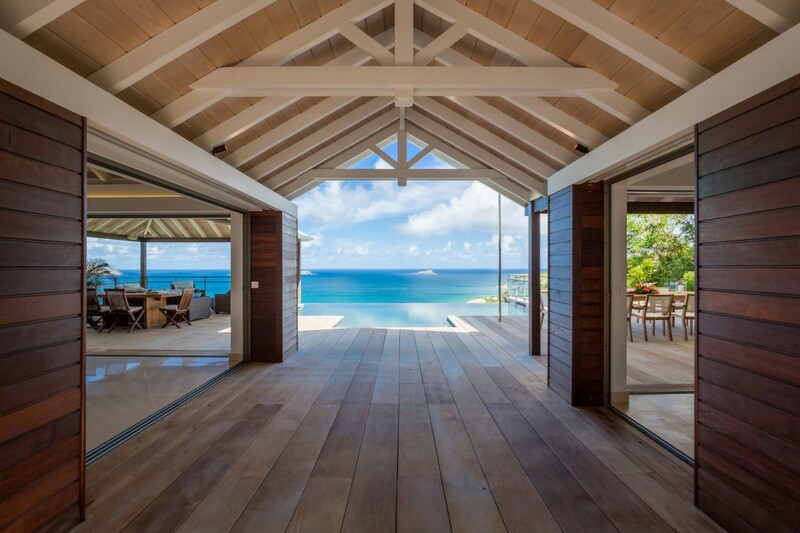 One is the remarkable, open-air living room. 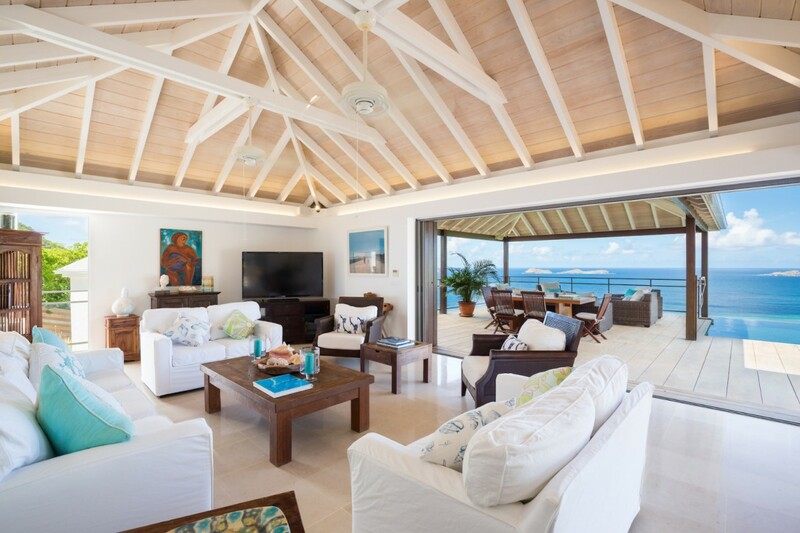 With its terrazzo floors and high, white-washed ceilings it captures the light and breezes. 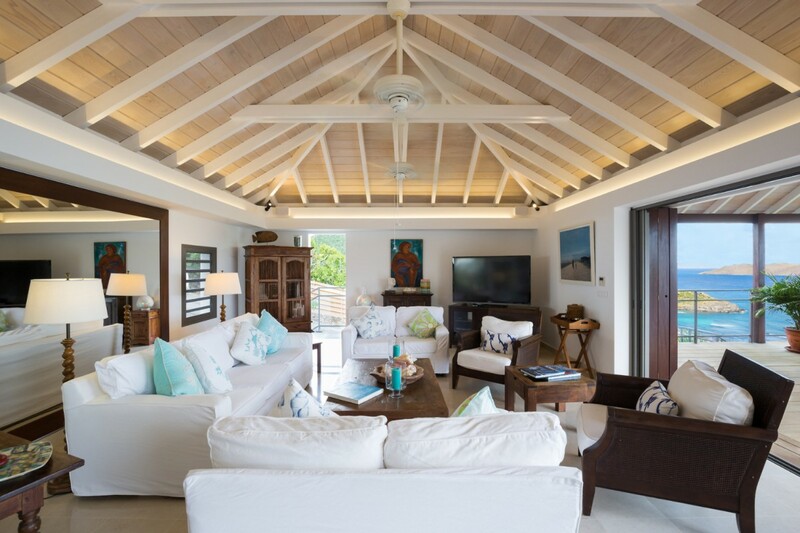 The décor is island chic and uses mahogany stained pieces paired with white upholstered sofas and chairs to create a perfectly balanced, sea-hued setting. 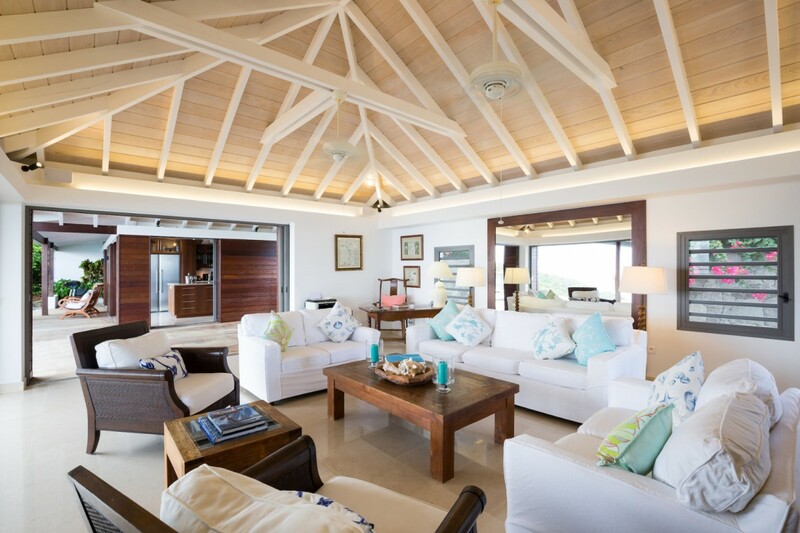 This opens into another lounge with a more traditional design. 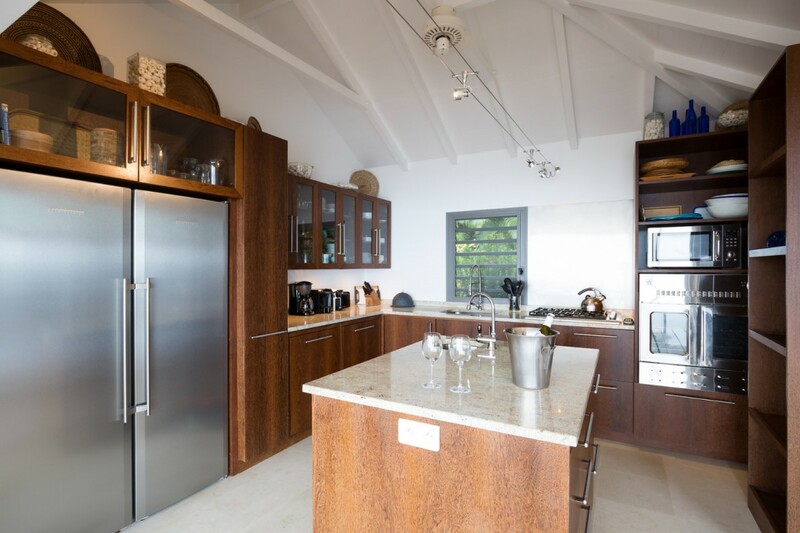 Across the open foyer is the gourmet kitchen, full of high end appliances, it opens to the views as well and allows for easy and enjoyable preparation of meals or drinks. 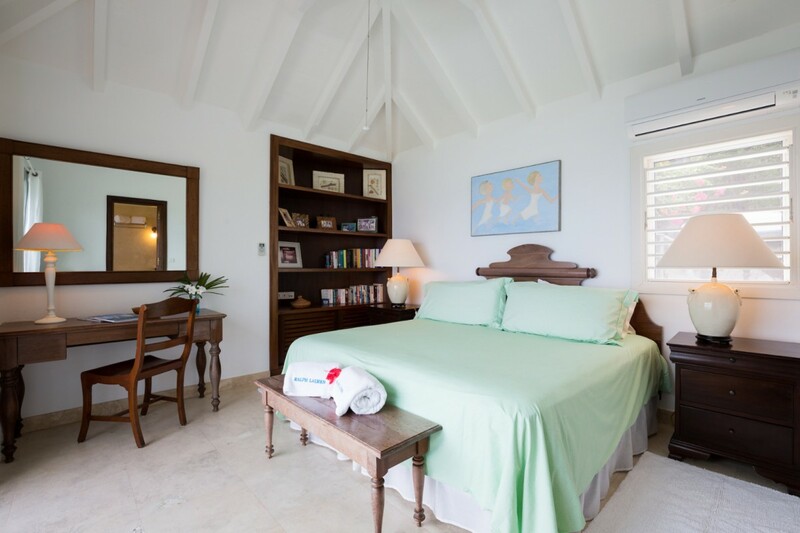 The three bedrooms are each designed as master suites. 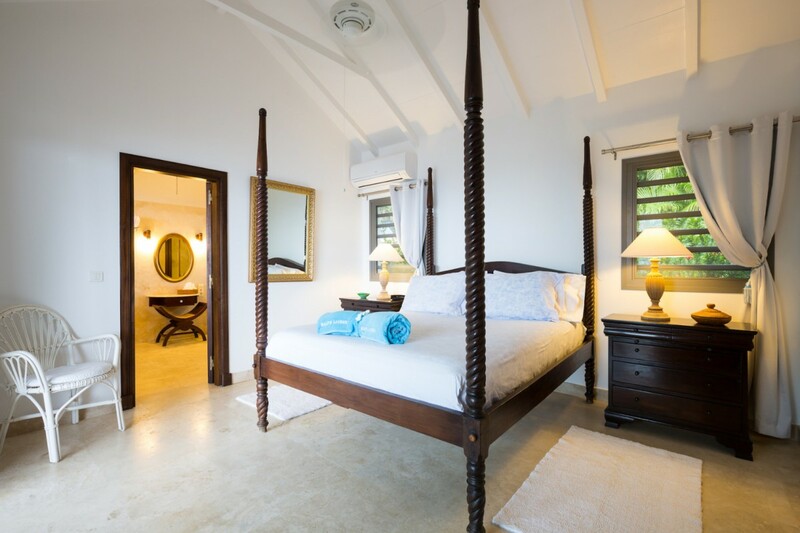 They feature king beds or dual twin beds. 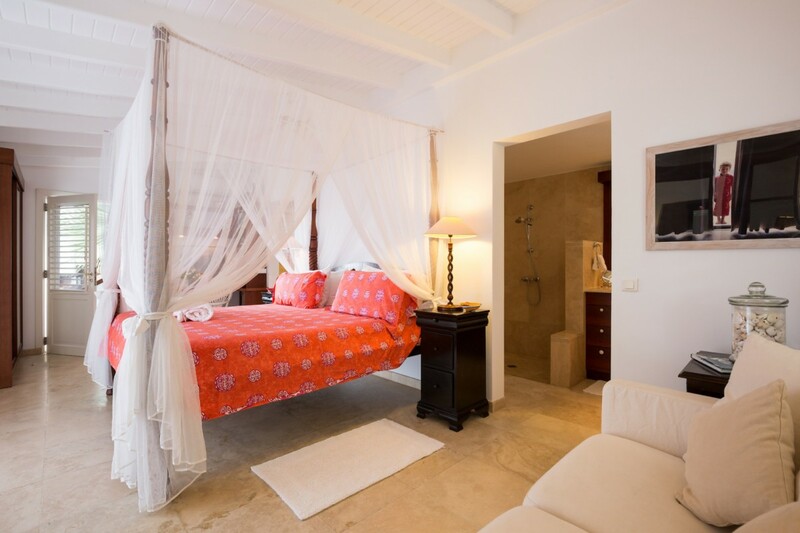 Each is fitted with romantic and helpful netting, a large ensuite bath with sea views or garden views, and access from the main living areas. 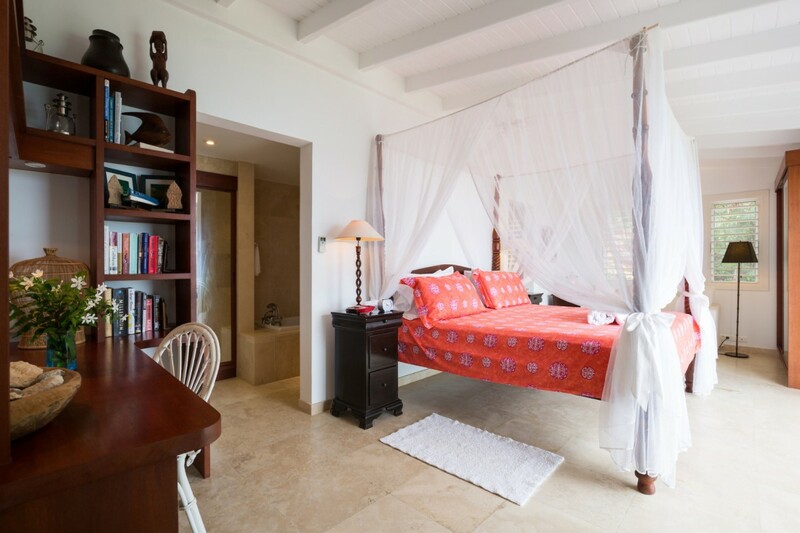 However, the third suite is on a lower level beneath the terrace and it has a lovely, private garden. 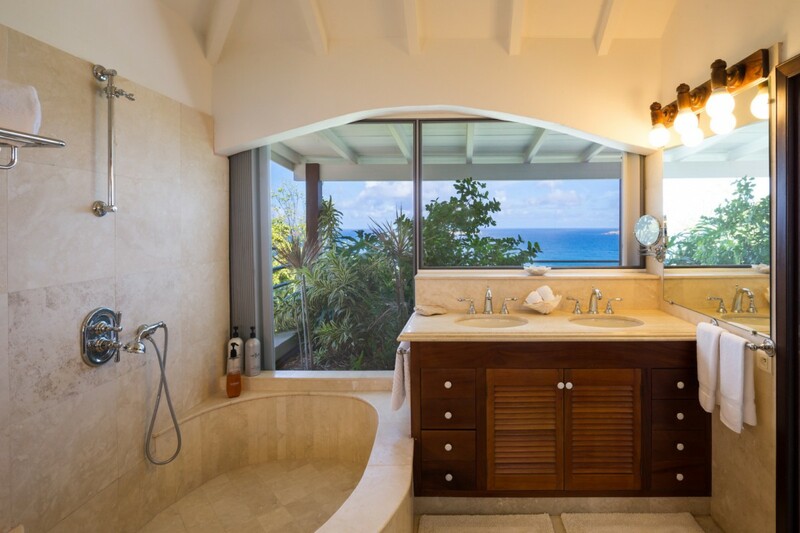 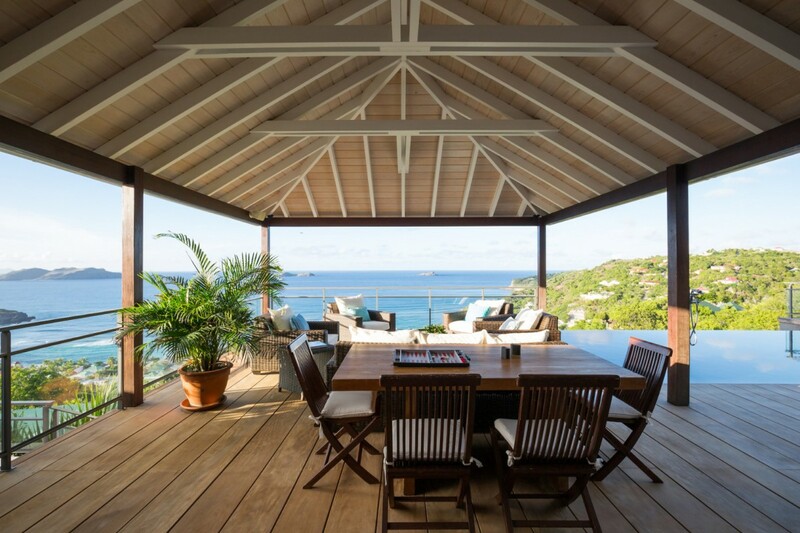 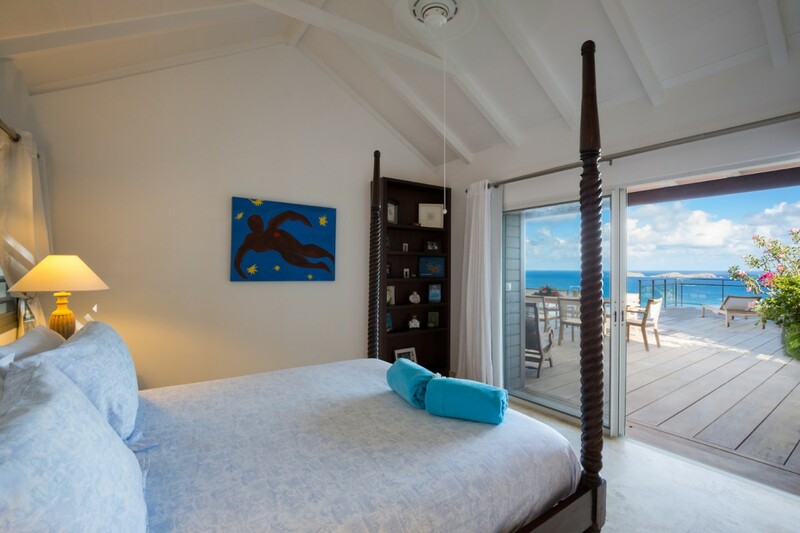 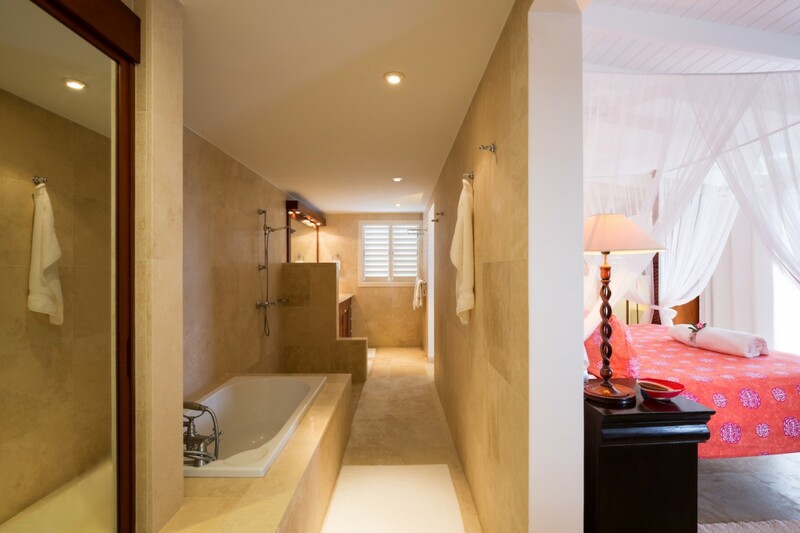 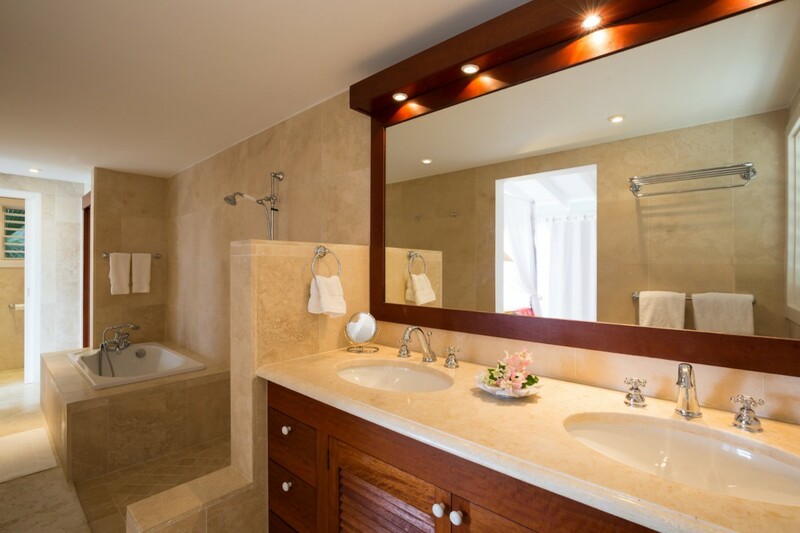 When looking for that perfect spot for your next Caribbean getaway, the charms of Villa Gearon are hard to ignore, and it may prove the ideal spot for your family or friends.